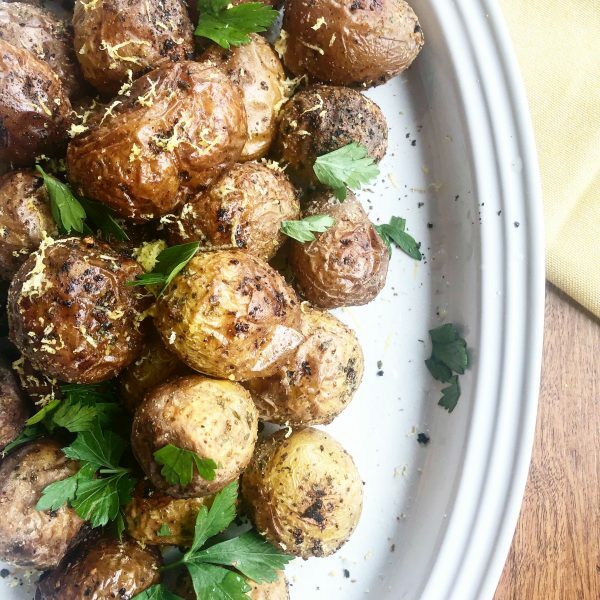 These zesty potatoes are THE BEST!!!! Full of flavor and so good, you’ll never miss the butter! These will be perfect for Thanksgiving and Christmas and on a Tuesday. 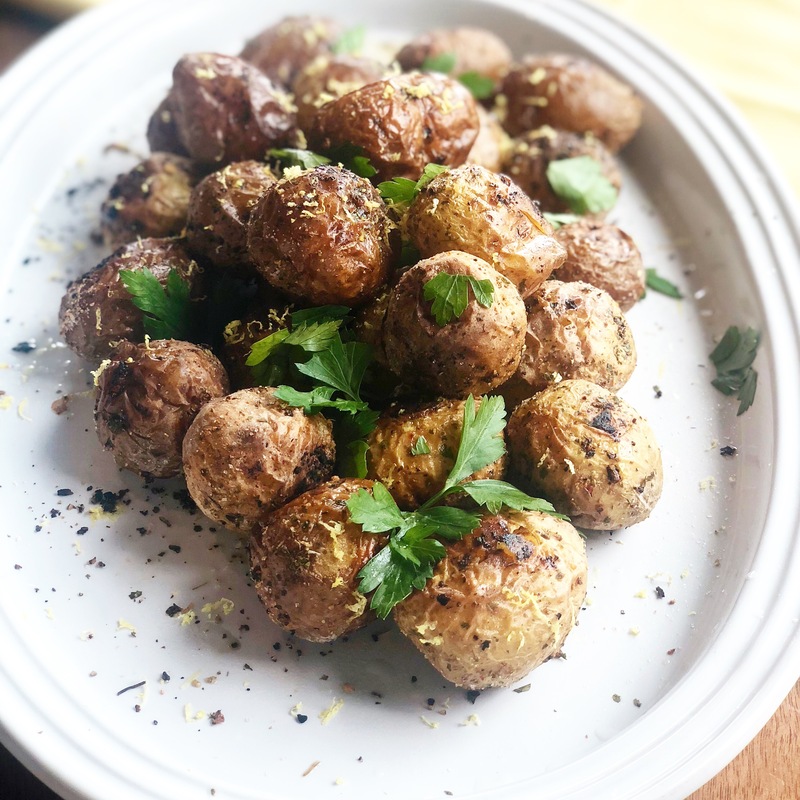 Little potatoes rolled in zesty spices and roasted to perfection and then zested with lemon! place on a beautiful serving dish, garnish with a squeeze of lemon, more zested lime and lemon and fresh parsley.